The 2Touch all-in-one lectern has always been a popular choice for any medium sized meeting and conference setting. Combining built-in audio with the lit surface and slender podium column, this lightweight lectern comes at an amazingly affordable price. 2Touch’s ultra-resolution 84″ interactive displays are a hit in medical imaging settings. Stacker is unique to Workbook and allows a user to instantly create a flippable “stack” of objects on the canvas. These objects can include images, shapes, lines or text (or any grouped combination of these). A very frequent frustration from Languages teachers, revolves around the desire to be able to type directly onto the page utilising whatever character set is appropriate to that language. Workbook’s canvas supports any Unicode character sets. Provided that your Language and Keyboard settings are correctly implemented in Windows, you can type any script directly onto the Workbook canvas. Wordwall 3 Activity Generator: Even More Activities for You! The list of templates available for Wordwall 3 just keeps growing…. and growing….. and growing! This immensely popular activity generator for classrooms at all levels, has really come alive in version 3, which of course is free to all 2Touch customers…..
From early June, Xorro-Q customers have been able to add images into their activities. All question types now support images. Bay of Plenty District Health Board recently deployed a 2Touch 84″ interactive display in one of their meeting rooms. We followed up with Jacky Maaka of the Administrative Support Arm, to see how the new technology is being used…..
Wordwall 3 keeps growing…. and growing…. 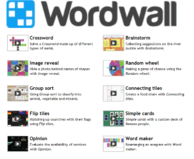 Wordwall, the activity generator designed for use in classrooms, has come into its own in version 3.